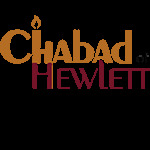 At Chabad of Hewlett every Jew is already member. Now you can be a partner. Chabad of Hewlett does not ask for annual membership dues. In our eyes, every Jew is already a member! Here at Chabad we have an "open door" policy- all are welcome! How does our Chabad house operate without "membership"? With any monthly donation you can become a partner in all the great work done here at Chabad of Hewlett (a non-profit 501-C3 organization.) Together we can continue to expand and enrich Jewish life in our community.